"Please excuse the mess but my children are busy making memories"
I can't even begin to express how much I can relate to this saying. One of the things that has shocked me the most about becoming a mother is the amount of cleaning and cooking that comes along with it. It's literally never ending. 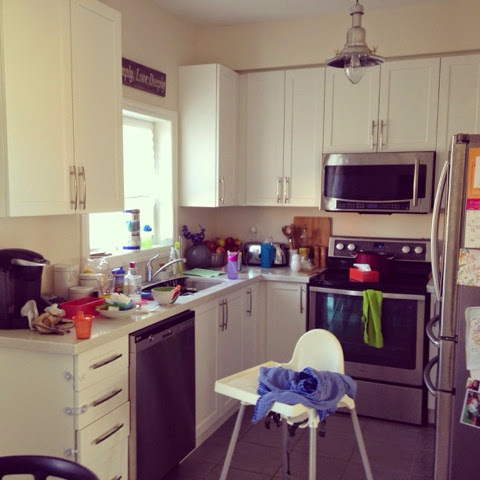 There is so much cooking and cleaning to be done that if I wanted a clean house even 90% of the time I would never get to spend time with my family. There is always laundry, dusting, polishing, organizing etc. House and I can almost guarantee you if you show up for a surprise visit at my house in the middle of the week there will be dirty dishes and lots of toys all over the floor. I spent a long time trying to find a good balance between a well kept house and time to really play with my kids. 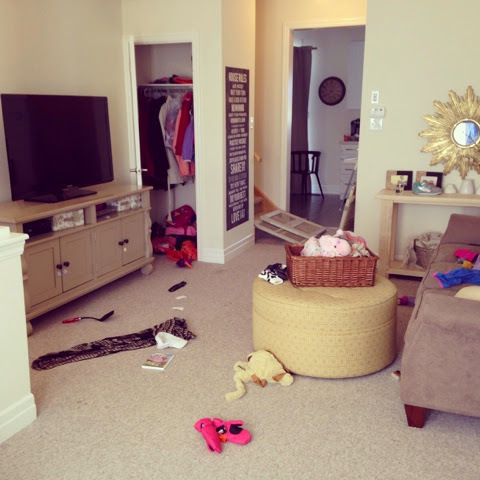 For a while I found myself flipping out at the kids because the house was a mess. I would literally spend 6 plus hours a day organizing, mopping, dusting etc. Who was I cleaning for? My kids didn't mind the mess and all they really wanted was my time. I decided I hated the mother I was becomming and I wanted my kids to look back and remember a mother that played with them instead of a mom that was always cleaning. So to anyone who is going to talk bad about the mess in my house - I really don't care about your judgements because I've been busy doing something far more important then keeping a clean house. I've been making memories with my wonderful family. I'm sure one day I'll have more time to keep a clean house and when that day comes I don't think I'll look back and say "I wish I had cleaned more when the kids were young."